Ayurvedic treatment as well as ingredients go a long way in benefiting the body. Few years back I had taken some Ayurvedic treatment to heal my acne and I had seen some results. But my hectic college schedule, I couldn't continue the treatment. I just love the smell of Ayurvedic powders, they remind me of hundreds of years of age old tradition of Ayurveda. 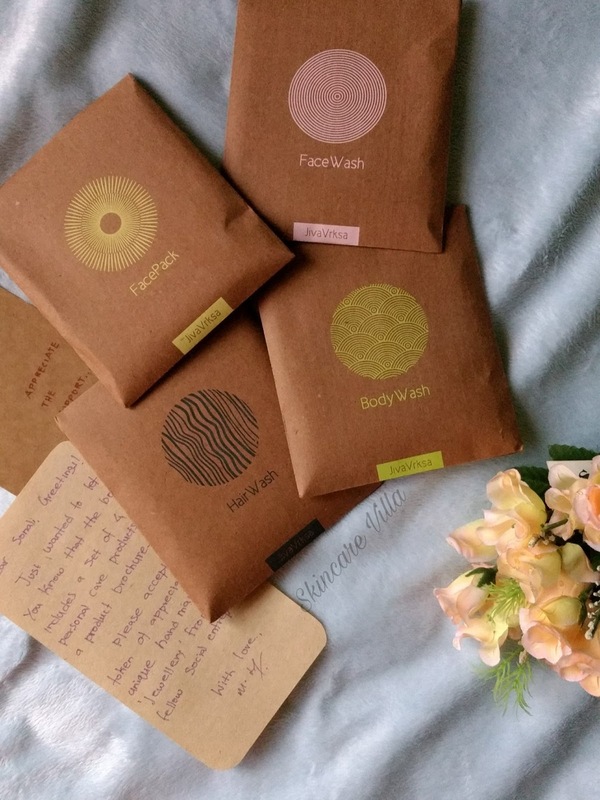 Coming to today's post, it's about a Chennai based brand called JivaVrksa which offers handmade, Ayurveda based products. They offer only 4 products viz. Face wash, face pack, hair wash and body wash, all in powdered form. All the products have a typical ayurvedic fragrance which attracts me more to the products. 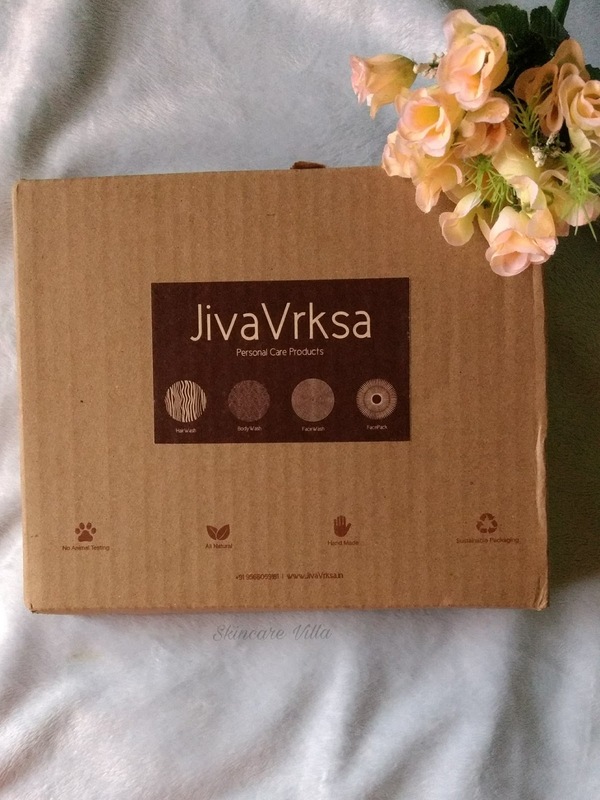 JivaVrksa, is a health initiative of vrksa (Vri-K-sha : Tree - A symbol of life and endurance) Lifespace Pvt Ltd; with a vision to spread awareness on healthy and sustainable living through natural and organic personal and home care products. Our products are hand-made with utmost care to ensure we use all-natural ingredients. These ingredients were carefully crafted to ensure that no chemical preservatives, artificial dyes or colors even came close to the products we are offering. We use a combination of traditional recipes handed down through many generations to handpick the right ingredients mix to ensure we retain the freshness & originality. All the products were packed in a simple outer brown paper packaging which has another inner white paper packaging containing the product. The products being a part of sustainable living, there is no room for plastic packaging. The products were placed in a big cardboard box. 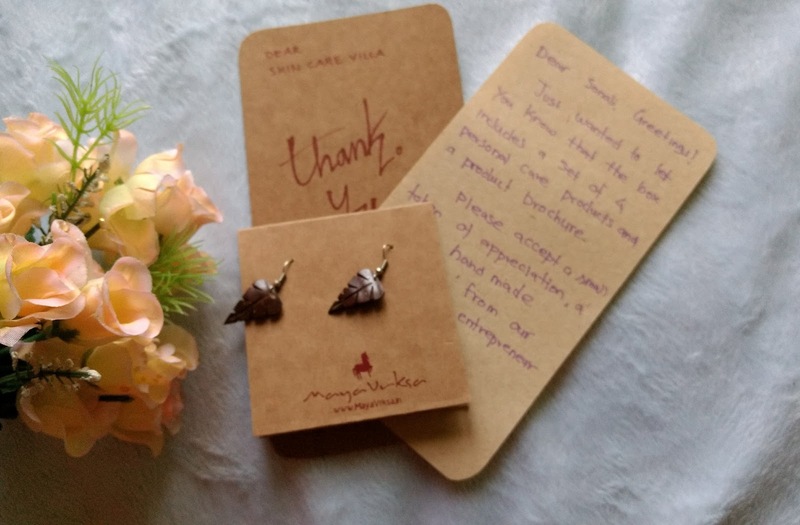 I also received a hand written note along with a handmade earring by the sister concern of JivaVrksa that is MayaVrksha. The whole concept of the brand is clearly evident in their packaging as well as the formulations of the products. Let's check the review of each product and how they perform. Overall I was very happy with all the 4 products offered by JivaVrksa. My Ultimate favourite from the list has to be face wash which has prevented my breakouts and has given me a glowing skin. I wish to repurchase it from Amazon. I would highly recommend you all to checkout the brand and reap the goodness of Ayurveda.